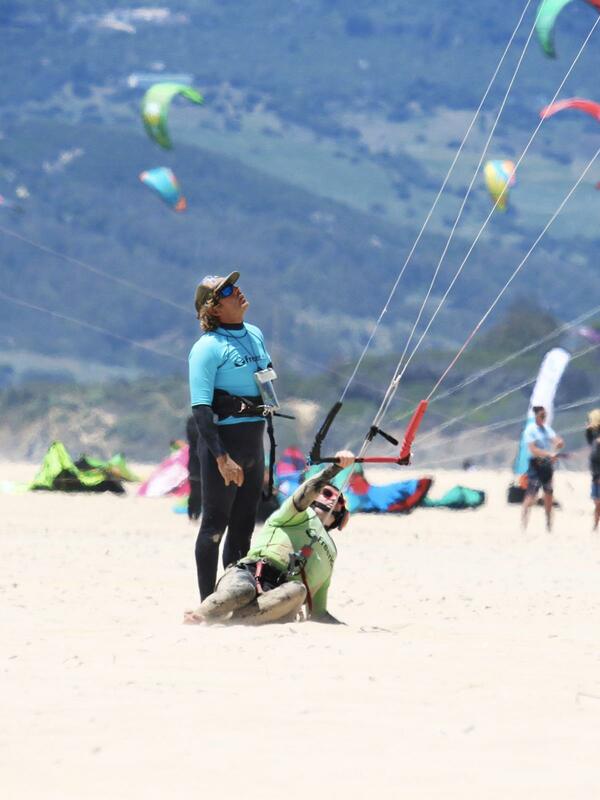 You’re looking for an intensive kite training to learn fast and be able to ride before leaving Tarifa?! Take advantage of our special offer now to learn how to kitesurf with our IKO certified instructors. 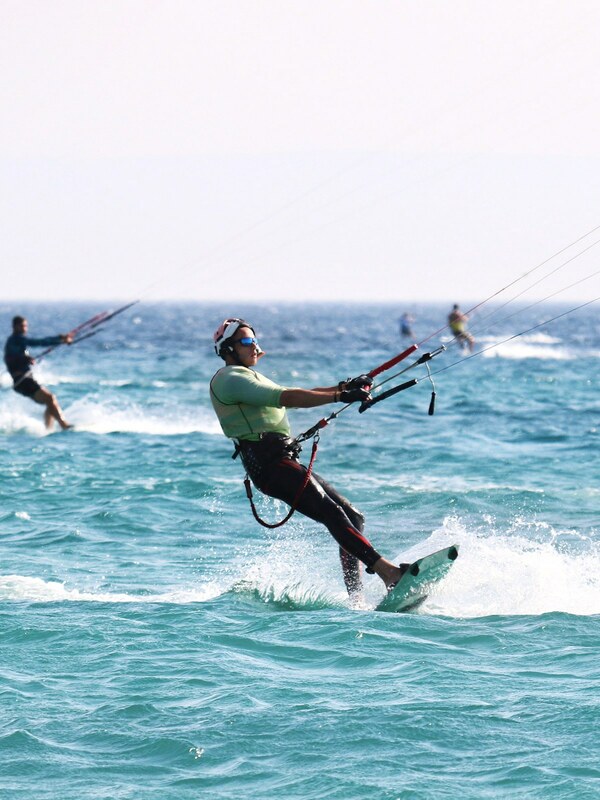 You will get 2 sessions of 2h kitesurfing per day during 5 days, split by a lunch break, in semi-private class. Which means, each student will have his own kite equipment during the lessons. Using reliable gear is also the success of a positive learning – Our brand of choice is Naish and you will practice on the 2019 brand new kite equipment. We dedicate a lot of attention to the safety of our students as well as their progression. That’s why we use radio headsets to correct you in real time and being always in touch with you when you are in the water. No experience is needed, you just have to be able to swim. All the necessary equipment for the lessons will be provided. Bring just suncream and sunglasses. 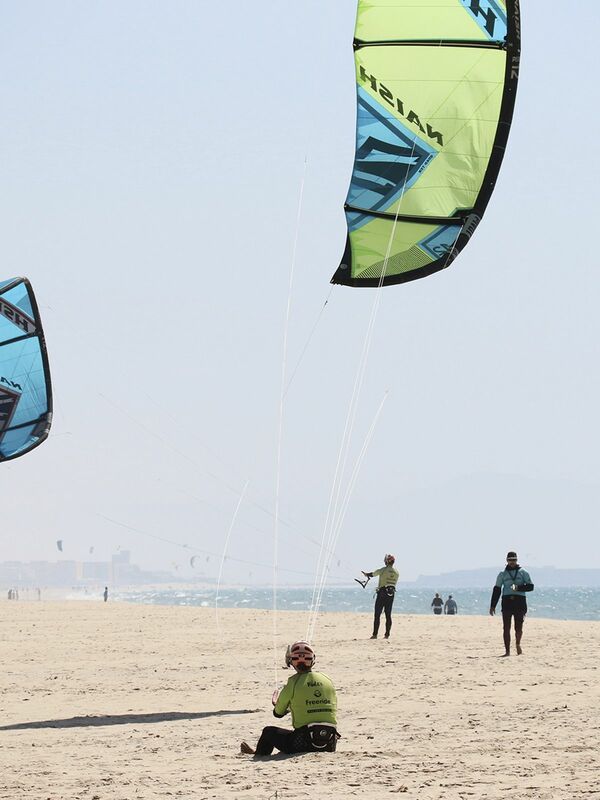 You will receive the schedule the day before the first lesson with the exact time and location for the kite lessons. You will have also a welcome drink in our partner bar “Exit Bar” and several suggestions of restaurants. We also organise one time a week a diner. If you do not rent a car, we can come to pick you up at our shop for the lessons. In case the lessons can’t take place due to bad meteorological conditions, customers can choose to be refunded for the proportional part for the kitesurf lessons or get a voucher to keep the same rate. We can provide hostel, studio, apartment depending your wishes and budget. 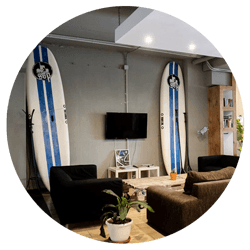 Friendly Surf House based at the entrance of Tarifa, 5min by car from Los Lances kitespot & 18 min from Puerta de Jerez. Perfect place for solo and friends travellers that will meet other kitesurf lovers, including bed and breakfast. Located on the Costa de la Luz, Hotel La Torre is an old family farmhouse renovated to a 2 star hotel facing Valdevaqueros beach and 10 minutes from the town of Tarifa. Discover the atypical style of this hotel restaurant. We have different size of apartment to suit any group size. 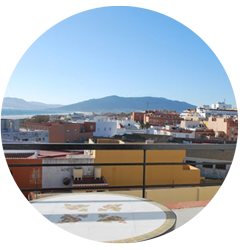 Set in the heart of Tarifa village, at 300m from the Balneario beach, these residence combine warm ambiances and tranquility to spend nice holidays. in Europe have established Tarifa as a true surfers paradise. airports, rental cars, transfers and all the activities you can do.